One really good thing about living in this city is that you don`t have to like everything about it. There is a history of discontentment here that is refreshing. 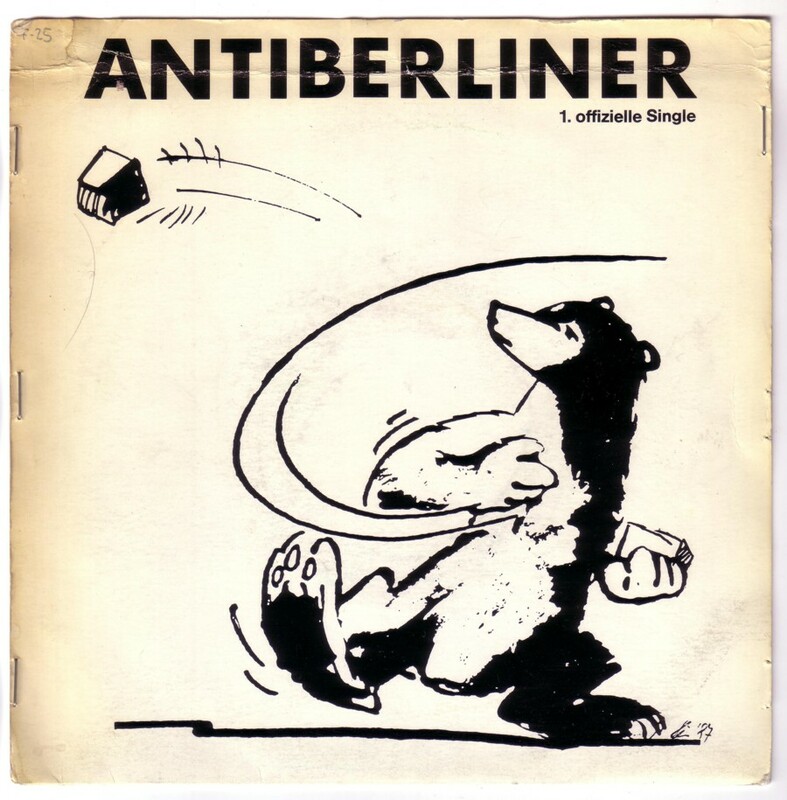 The people who did this record didn`t really hate Berlin. The music and the lyrics are quite upbeat and optimistic. On may 1st 1987, after a spontaneous demonstration, a riot broke out that spread throughout Kreuzberg. A lot of shops were looted and a supermarket was set on fire. 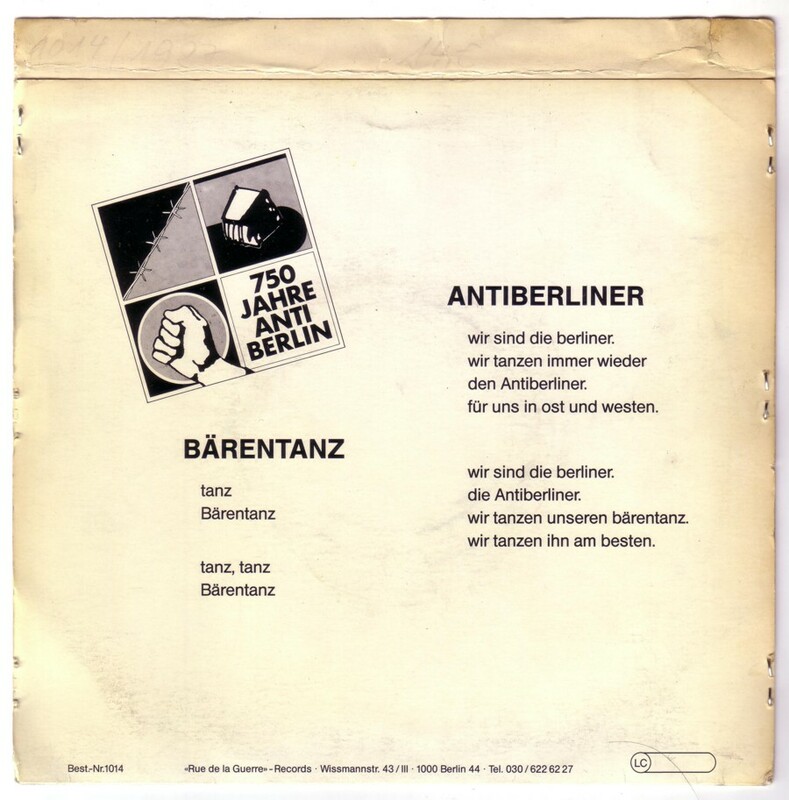 In response to the riots Berlin mayor Eberhard Diepgen called anarchists and autonomous people “Antiberliners”. In the month following that incident a bunch of people took that word, reversed it and produced this nice 45. Actually this is pretty much an ode to the other Berlin. 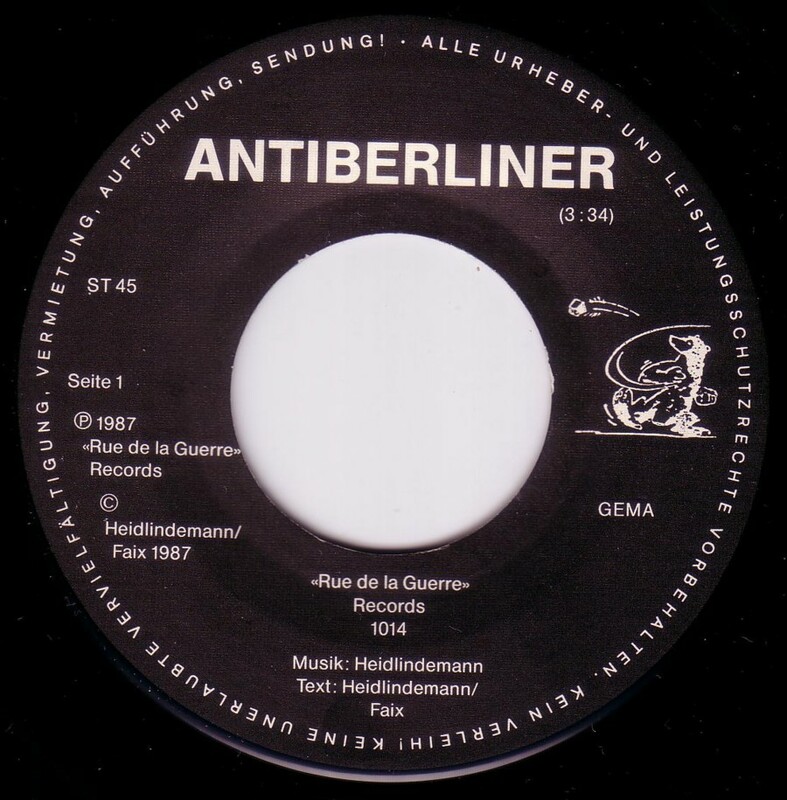 The Berlin of the outsiders.